Barossa Valley not far from Adelaide's city centre is the most famous wine region in South Australia with more than 80 cellar doors and 150 wineries. 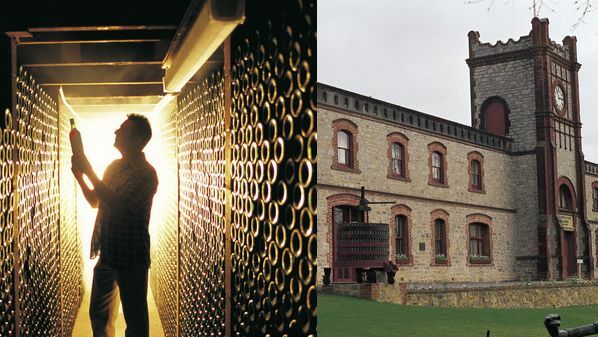 Some of the better known wineries such as Jacobs Creek, Yalumba and Penfolds see 10s of 1000s thousands of visitors to their wine cellars every year. 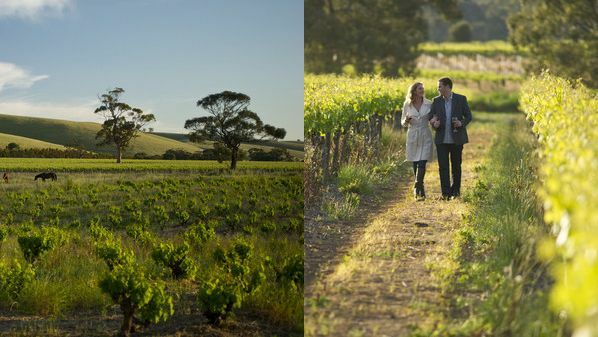 Besides the vast selection of wineries to visit and sample their vintages, Barossa Valley is also known for its stunning scenery with its vineyards and rolling hillsides. Instead of driving, walking and cycling are 2 ways to enjoy the scenery at a slower pace. 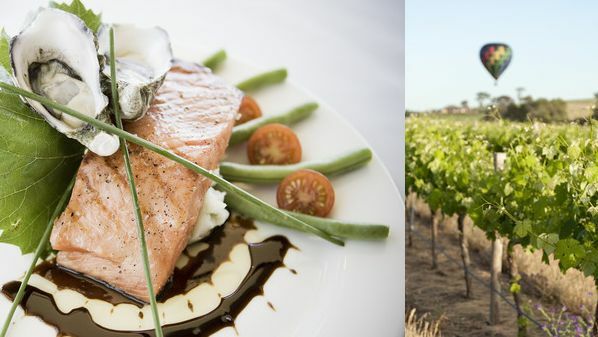 Barossa Valley offers some of the finest cheeses, breads and jams in South Australia and boasts of its fine dining, boutique shopping, art galleries, markets and several famous annual festivals. 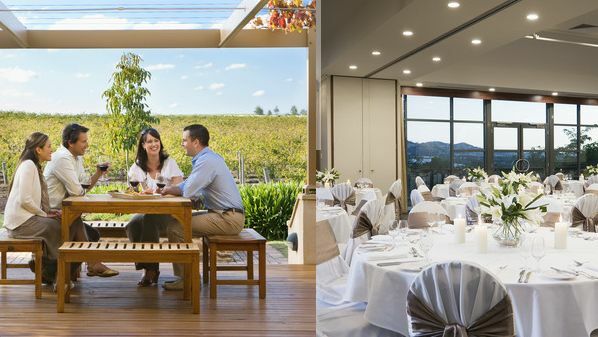 Barossa Valley has also become quite the popular wedding destination with romantic venues and accommodation to select from. There are also spa resorts to relax at, hot air ballooning flights to enjoy and a well designed golf course for an 18 hole challenging game. 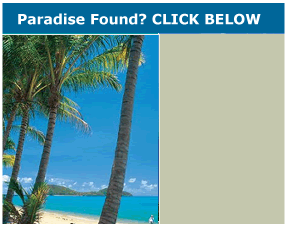 Accommodation varies from resorts,motels and apartments to holiday homes, cabins and romantic getaways.